Infants begin to develop an understanding of the world around them through their senses and physical actions. To develop these skills our infant program is designed with various age appropriate experiences and exercises which will help your child develop at his/her own speed. 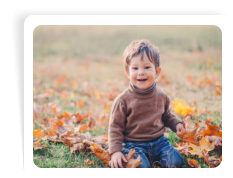 These areas include sensori-motor, psychomotor, language development, cognitive development, large and small motor skills and social and emotional development. The children are spoken, sung and read to frequently, have many different objects in their environment to see and touch. Two year olds are beginning to develop social skills, enlarge their vocabulary and test their independence. To develop these skills, our program for this age group offers a group experience and private classroom which recognizes the special needs of each child. The children have many opportunities to explore and learn about the environment. The children are spoken to frequently and are encouraged to participate daily in individual and group conversations. 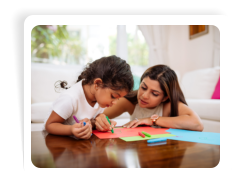 Toilet training, dealing with frustration, encouraging self-help skills and providing successful age appropriate experiences to enhance the child’s self-concept is part of the two-year-old curriculum. 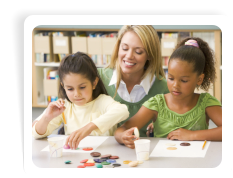 The Creative Curriculum provides a basic structure for a developmentally appropriate program. 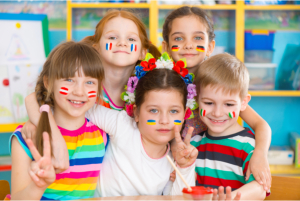 The curriculum focuses on the environment because young children learn best through active interactions with the physical and social environment. By continually changing and enriching the environment, teachers can support learning and creativity in children. Children are encouraged to ask questions and explore. This in turn enhances their ability to solve problems, recognize cause and affect relationships, and plan. Children are encouraged to try out their ideas, experiment, and use materials creatively. They use songs, storytelling, language, games, blocks, manipulatives and other creative materials in more sophisticated ways and are given time to develop their own unique themes of play. Pre-kindergarten helps ensure that the child is intellectually, emotionally, physically and socially ready to enter school. 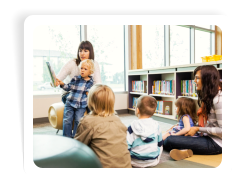 The basis of the curriculum focuses on vocabulary, letters, words, math and cognitive skills, hands on experiences, group activities that focus on social skills, help in developing school readiness skills and developmentally appropriate curriculum that encourages creativity and independence.